David Thatcher was born on July 31, 1921, in Bridger, Montana. He enlisted in the U.S. Army Air Corps on December 3, 1940, and attended Airplane Mechanics School at Lincoln, Nebraska, from July to December 1941. 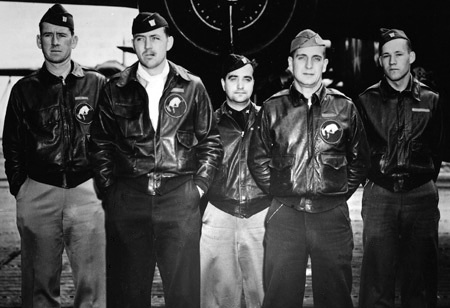 His first assignment was as a B-25 Mitchell flight engineer with the 95th Bomb Squadron at McChord Field, Washington, from December 1941 until he was selected for the Doolittle Raid in February 1942. Sgt Thatcher was the engineer-gunner on the 7th B-25 to take off from the aircraft carrier USS Hornet (CV-8) on April 18, 1942, and after bombing its assigned targets in Tokyo, the crew crash landed off the coast of China. 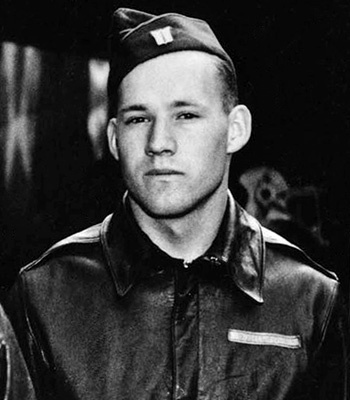 As the only crew member not seriously injured in the crash, Sgt Thatcher was later awarded the Silver Star for taking charge of the group and getting them medical attention. 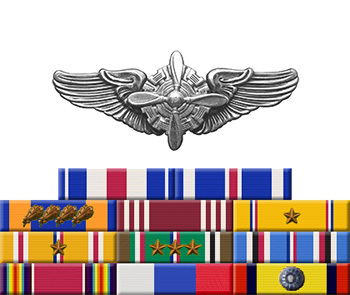 After returning to the United States he served as a B-26 Marauder flight engineer/gunner in England, and participated in combat in North Africa from December 1942 until January 1944. He then returned to the United States and served in stateside assignments in California until receiving an honorable discharge from the Army Air Forces in July 1945. David Thatcher died on June 22, 2016. For extraordinary achievement while participating in a highly destructive raid on the Japanese mainland on April 18, 1942. Sergeant Thatcher volunteered for this mission knowing full well that the chances of survival were extremely remote, and executed his part in it with great skill and daring. This achievement reflects high credit on Sergeant Thatcher and the military service.